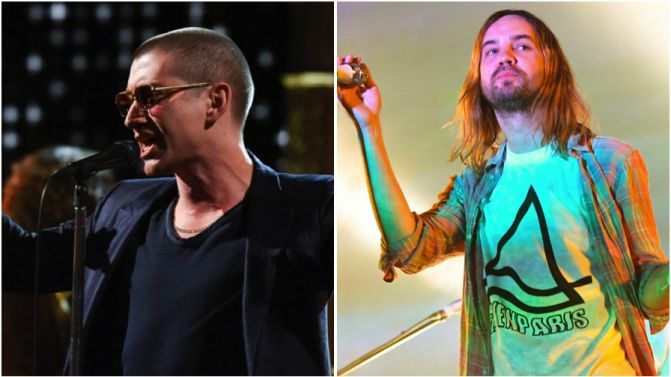 Arctic Monkeys have revealed they are open to collaborating with Tame Impala mastermind Kevin Parker, after the Australian muso said he’d “absolutely” be receptive to teaming up. Asked about what his band’s next recording sessions might be like, Turner said, “Hopefully Kevin would be floating in there somewhere. Turner’s comments come after Parker praised Arctic Monkeys’ latest album Tranquility Base Hotel & Casino, which features contributions from his Tame Impala band member Cameron Avery. If you cast your mind back to 2014, you might also remember that Arctic Monkeys covered Tame Impala’s ‘Feels Like We Only Go Backwards’ for triple j‘s Like A Version. It wasn’t quite a collaboration, but it could be an indication of how the two acts’ sounds might blend. Listen to Alex Turner and Matt Helders’ full Beats 1 interview, below.